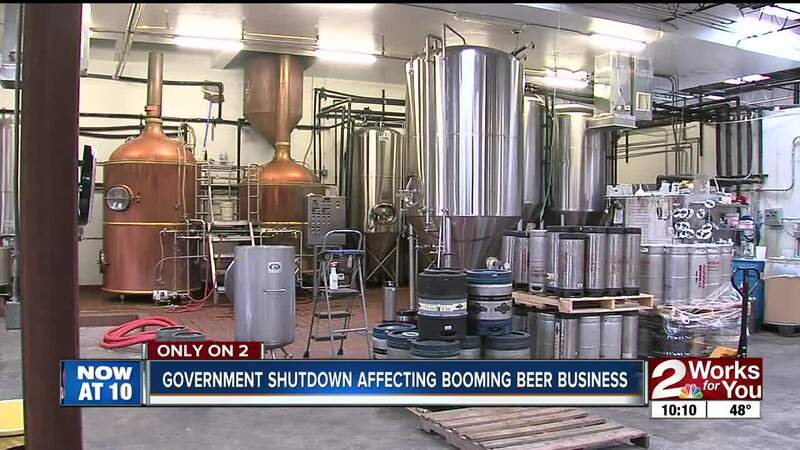 The booming beer industry in Green Country is feeling the unexpected effects of the government shutdown. The Alcohol and Tobacco Tax and Trade Bureau is closed, which regulates the beverage industry. Breweries have to apply for a permit and receive approval from the agency before they can crank out drinks. They also have to get new beers approved through TTTB before the public can get hands on them. The bureau approves new beers before they hit stores and restaurants, and it’s affecting breweries like Prairie Artisan Ales. Prairie was hoping to roll out its “Oh Fudge” beverage, but that’s now on hold. Prairie’s Zach Prichard says it all requires federal approval, and even if the government opens up tomorrow, it would take weeks, possibly months to get back on schedule. Good news, though. The beers still are available at tap tasting rooms and brew pups.